I hope everyone in Nashville will be glued to the tee vee tomorrow when you appear on TALK OF THE TOWN. Whatever are you going to do without me interrupting you? Save me a bite of whatever’s on the cooking segment. One of the rules I live by: if it needs its own seat, it’s probably not a good project for travel knitting. Here we see the current status of my Kiki Mariko rug. Carrie is 4′ 11′ (ish); the rug tape measures out to 4’6″. So I’m closing in on the finish line. I have to look at the pattern again and figure out when I’m sposed to stop. 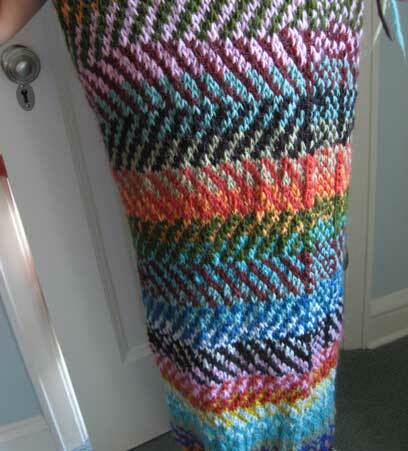 I have to say that this project was fun and relaxing from the start, but it got a whole lot more fun when I decided I didn’t need no stinkin’ repeats of the stripe pattern. There is something in me that resists a regular repeat. I really enjoy changing the colors, and those bits where it goes off kilter, like a lot of blue or a lot of orange in one spot? That was on purpose. For the thrill. (I’m not being sarcastic. Those spots are exciting to me.) I am eager to see if I still like it when it’s felted. It’s a low risk project because it’s going to be one of those rugs you walk over on your way in the door and don’t really look at. I’m not hanging it on the wall or anything. To those who have asked how I plan to felt this, given its large size: I plan to use a regular washing machine and a king-size pillercase. I have washed big fat blankets and comforters in the machine; I think this will work fine as long as I take measures to filter the fluff (which is where the pillowcase comes in). Felting this will generate a LOT of stray fluff. I like to think that if I were knitting Fair Isle in a fine Shetland wool, I would be getting a smoother fabric than I’m getting with Lamb’s Pride Bulky and Manos. But I don’t know. It’s a leap of faith that felting is going to cure all ills. I believe, Miss Ann! I believe! I’ve had quilts on the brain, even more than usual. Allotment Quilt by our excellent Jane Brocket. Who styled that photo? Wowie. 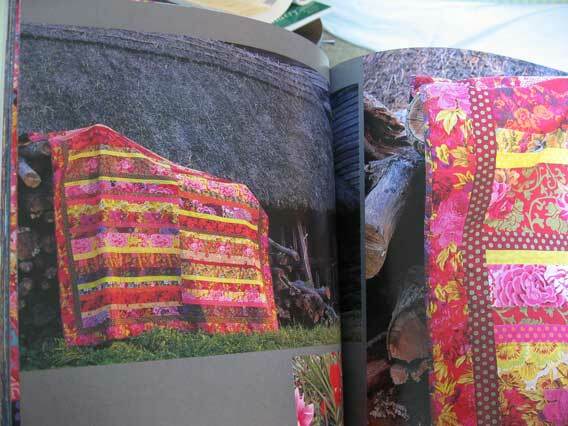 Many more photos, and a wonderful article by Jane on patchwork and gardening, in the book. 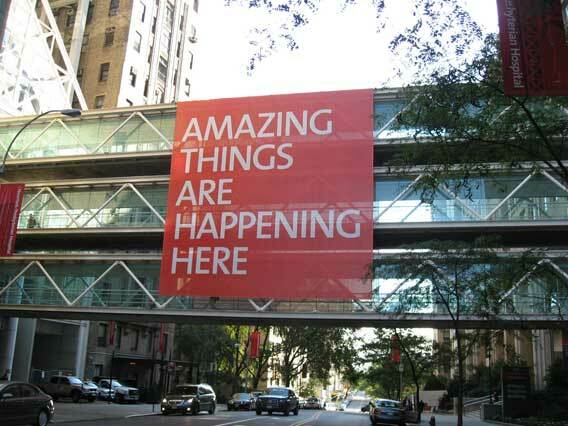 There’s lots to look at, everywhere. That rug, she’s a-looking F.I.N.E. That Carrie, she’s a-looking T.A.L.L. Them quilts, they’re a-looking C.O.Z.Y. So glad to hear that your spousal unit is on the mend. YAY! Glad to hear the Other Half is on the mend. Still so sorry to be missing you here in Portland on Monday. Pout. Love that church sign! Just my colours. Must have more blankets. And holy schmoly, that allotment quilt…. What an eye-full first thing in the morning! Gaw-juss! Thanks! 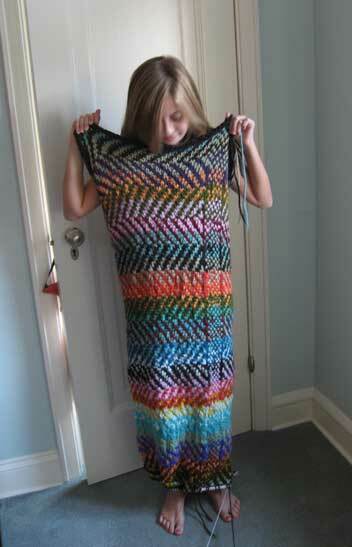 If I had knit that beautiful Kiki M, it would never see the floor. The wall? Sure. The back of the sofa (if I had a sofa)? Yep. But if I put it on the floor, too much of my time would be spent making sure NO one EVER stepped on it. This would severely reduce its effectiveness as a rug. I’m not even sure I could felt it – I love it so much just the way it is. wow, the rug looks great. I think it will be beautiful felted. Can’t wait to see it. I gasped when I first saw Jane Brocket’s allotment quilt, too! Do you know she has a lovely book out – called The Gentle Art of Domesticity? So many beautiful pictures! Wise words, too. Ok I wish somebody would put more of a lead on when there’s going to be the secrets of knitting on Talk of the Town. I made the mistake of waiting until I was at work to look to see if you all had said anymore about Sat. event and get that I should have set the DVR this am to hear Ann explain it all to us. I think it comes on later in the day on Channel 50 for those like me who just didn’t get the cable box set this am. As for Kiki, why not the floor. The wall shouldn’t be the only thing that gets a work of art. The felting makes it something that will be long lasting even with wear and it can add that push of color to any floor that makes the whole room light up. Textiles are that kind of art that last for years even in constant use unlike pottery that is only for a season until somebody drops it. I think Kay’s Kiki is so yummy. We can’t wait to see the final result. I have been fretting about the felting of this stunning rug all day. 2. Bigger worry: the agitator is not going to be able to evenly distribute the felting and this baby is too big to stretch by hand. I am worried, I say. Having said that, I am sure you will do what you want, Kay. No matter, I want to see the finished piece in all its felted glory. So glad your husband is well again, Kay! I would dearly love to know whether the residents of the Yorkshire countryside are so accustomed to oddly dressed models cavorting on the heath in Rowan knitwear that it’s just a typical day if Kaffe Fassett and his team of photographers and stylists turn up at your door and ask whether they can drape some zowie quilts over your thatched roof or your attractive blue dory. 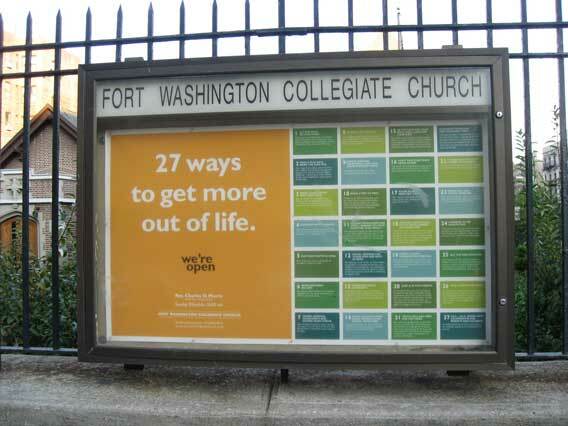 Ok, the church sign is driving me crazy. Why are there 28 squares, and only 27 reasons?!?!? It is possible to felt in the washing machine, naked, as it were. Live, without a pillowcase. Just make sure to stop the thing mid-cycle, before it spins the water out, wave your hand through the water to grab any great hunks of wool floating around. I do it that way all the time. Haven’t killed a washing machine yet. It’s amazing what you’ll fish out of the water, but you can get all the errant bits easily enough bare-handed. I’ve known people to use strainers, too, and I’m sure it works but seems awfully fussy. And I’m thinking my kitchen needs one of those rugs. In front of the sink. To keep my feet warm while washing dishes. Ooh, I love JulieT’s suggestion of a kitchen rug. I don’t like doing dishes in the winter, because all of my floors feel cold (even the ones with carpet), so a little extra space would be appreciated and the kitchen ends up cleaner than the bathroom (or at least a lot less water to soak the rug) by far! So glad to hear hubbo is better. Rug amazing. Umm…is it just me or doesn’t 4×7=28? Is it the New Math? (I don’t really like the new math- the old math still works for me.) I can’t quite read the tiny words so maybe one of the “church sign quilt” squares is a freebie. I do love the colors- the cool blues and greens with the big pop of orange. 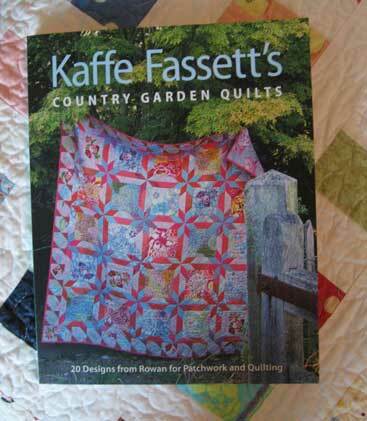 I just checked out Kaffe and Liza’s Quilts in the Sun from my local library and have been ooh-ing and aah-ing over it. (How I love a library where you can search for knitting or quilting books and get back the message “too many to sort” and then spend the next hour or so scrolling the list. They are very good about adding new titles too. I have personally requested a dozen or so titles that have been added to include Jane’s book and both MDKs.) Fraulein Bernina and I need to get to work on the fabric stash. Maybe after we finish daughter #4’s elaborate witch costume (purple dress with hot pink-lined black coat to be worn with hot pink and black striped tights and new black ankle boots snagged from the Wal-Mart clearance shelf for $5- the child has her older sisters’ fashion sense rather than my “this sweatshirt looks great with the denim capris and flip-flops” mentality. Note to self- upgrade sweatshirt to Perfect or Daily Sweater.). Just to make you slightly envious…Kaffe Fassett and Brandon Mably were in Salem, MA Mon-Wed. Kaffe’s talk on Monday night and Brandon’s workshop on Tues. & Wed. were both amazing, a revelation on color. but the most exciting thing is that Knit-A-Yarn taped video podcasts of them both. Kaffe started got passionate about color and blew me away. Now we have to edit the tapes before we can post them. Not only that, but I was cruising an antiques flea market and picked up Kaffe’s Classics for $3 – it must be fate. Just saw the video of Ann on Talk of the Town on the station website – well done! Always hard when the host (Lelan) is a bit clueless about the appeal of knitting (cult status? didn’t know I was a cult knitter) but he was trying to catch an angle with the stress reduction opener and Ann took it from there. Wish I could make it to one of your booksignings ladies (and to see the handknits in person) but you are not coming anywhere near the Boston area it seems. Sigh…. Absolutely love this book!